Michael Svoboda examines how the film, Al Gore, and the debate around climate change have changed in the past several years. 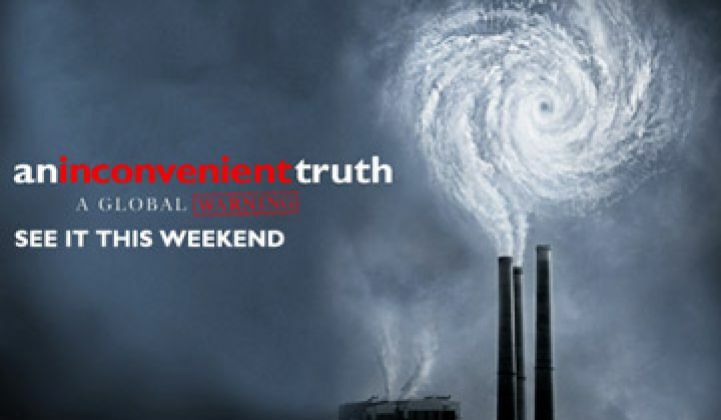 Memorial Day weekend 2011 marked the fifth anniversary of the release of the Al Gore film An Inconvenient Truth, which by any measure represented a milestone in climate change communications. A retrospective analysis examines how the film and the former vice president have weathered the climate policy storms in the years since. This post originally appeared on the Yale Forum on Climate Change & the Media and is graciously republished with permission. Five years after its May 28, 2006 theatrical release, An Inconvenient Truth (hereafter AIT) and its “star” still play leading roles in American and even international discussions of climate change. Outside of the U.S., Der Spiegel in a January 2011 article speculated that Gore might be the “messiah” who could revive momentum on climate change. (That regrettable choice of words will be addressed shortly.) And, asked who might play the role of Churchill in the belated WW II-scale effort on climate change he predicts in his book The Great Disruption, Paul Gilding, the former head of Greenpeace International, named only Gore. But the inconvenient truth of this fifth-year anniversary is that we are back where we started -- and possibly even behind where we were -- in 2006. Levels of CO2 are higher, but, according to the most recent polls, levels of public concern may actually be lower. And American opinion is now also more polarized than before: more than two-thirds of Democrats believe “the effects of global warming have already begun to happen,” versus just one-third of Republicans. Popular and critical responses to AIT began forming long before Gore met Guggenheim. Two pre-AIT academic studies of Gore -- one on his rhetoric and the other on media coverage of his rhetoric -- identified three recurrent taglines in media coverage of the 2000 presidential campaign. One measure of director Davis Guggenheim’s success in AIT is that his portrayal of Gore appears to have neutralized these taglines for many Americans. In the scenes of Gore lecturing, the former vice president comes across as informed but engaging. In the biographical segments -- on Gore’s childhood, on his son’s accident, and on his sister’s death -- he appears vulnerable, connected, and caring. These two counterpoints place the dogged and determined overachiever we see in the on-the-road scenes in a more appealing light. AIT presents a whole human being. But if the goal is to mobilize a population, to prompt concerted action on a pervasive social problem, does one really want a hero, particularly one of the lone and quixotic sort depicted in Campbell's work? In the process of constructing his heroic portrait of Gore, Guggenheim also severs a vital connection between Gore and many of AIT’s viewers: their shared religious faith. When he discusses the evolution of his own thinking, Gore often recounts the story of his son Albert’s near-fatal accident. In Earth in the Balance and in the book version of An Inconvenient Truth, this story includes prominent professions of faith: Gore and his wife Tipper “pray” -- as so many parents no doubt would -- that their son will recover from the car accident. But in the film, “prayer” is never mentioned. The black-and-white scenes of Gore, son Albert, and wife Tipper in the hospital are succeeded by photos of Gore in congressional meeting rooms and then by color video footage of Gore on a helicopter, flying over a succession of iconic natural landscapes: the Arctic, Antarctica, and the Amazon. In the film, it is this connection with nature, rather than with his family and faith, that grounds Gore’s being. Later in the film, Guggenheim seems even to anoint Gore as nature’s messenger; Gore is haloed, in somber black and white, by the swirling clouds of Hurricane Katrina. The hero is transfigured. Then came reviews, news stories, and op-ed pieces: more than 75 by the end of July, one-third of them in conservative venues such as the American Enterprise Institute’s website and in Human Events, National Review, Townhall, and The Wall Street Journal. Left and center responses often included lighthearted references to one or more of the three taglines about Gore (usually “the serial exaggerator”), but in conservative responses the tags were applied with full force. 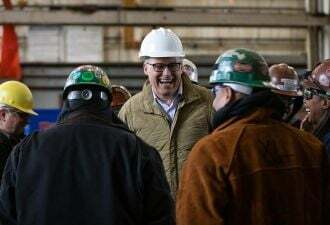 But even Gore appears not to see the full implications of his message and therefore goes easy on himself when he indulges, for instance, in carbon offsets. If a superstorm destroys the trees you paid to have planted or protected -- along with many, many more -- then your transcontinental flight has not been offset. Like a sonic pulse, the energy and emotions triggered by An Inconvenient Truth have revealed the terrain on which the politics of climate change will be played out in the U.S. For this result alone, the film should be considered a success. A useful way to start the next campaign might be to develop good taglines for the Anthropocene. A regular contributor to the Yale Forum on Climate Change and the Media, Michael Svoboda is an Assistant Professor of Writing at The George Washington University. Previously the owner of an academic bookstore, he now tracks and analyzes efforts to communicate climate change, including the stream of research and policy published by NGOs. Email him at msvoboda@yaleclimatemediaforum.org.